Sometimes Bunson gets scared and doesn’t want to have a bath. Lots of people like to hug and kiss him and take him on adventures, so he can get pretty grubby. Maybe he’ll be less reluctant now that he has a friend to go swimming with ^_^. 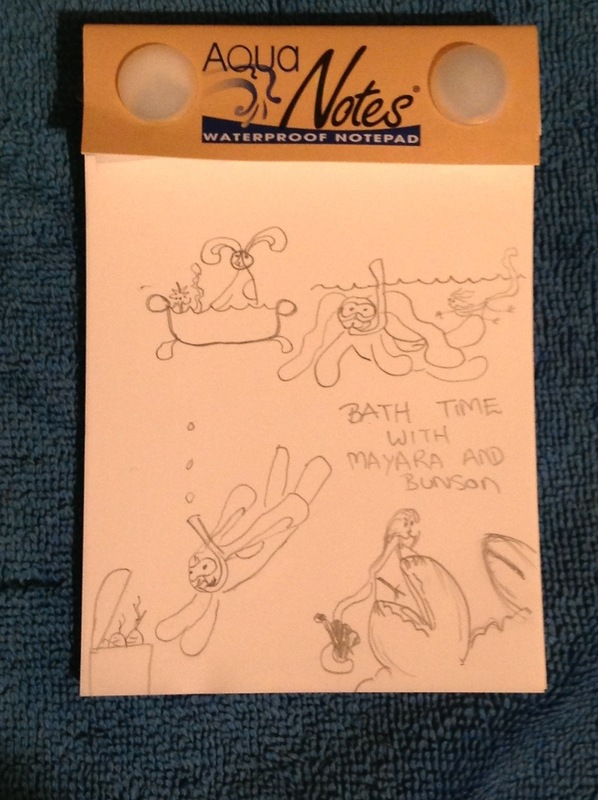 Bunson could find a treasure chest full of carrots and Mayara might wrestle with some giant clams. I drew this comic in the bath! On special waterproof paper my sweetie gave me for our anniversary.